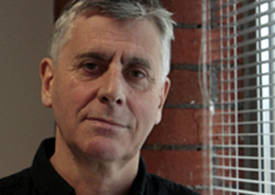 John has over 25 years experience in film and video production as a writer, designer, director and producer. 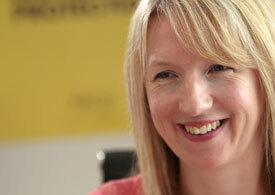 Projects include major product launches, documentary films and staff training videos. John’s key skill is imaginatively interpreting often complex issues to engage different audiences. John has worked with a wide range of businesses and organisations including: McDonald’s, JCB, John Lewis, Waitrose, European Respiratory Society, Homebase, Argos, AkzoNobel, ITV, Channel 4, Colliers International, B&Q, Screwfix, The Swansway Group, Lacoste, Westland Helicopters and Centrica. Having qualified with a degree in design, Ange started as an animator on various corporate and broadcast projects before moving on to design and produce numerous videos and multimedias. Ange’s key skill is her eye for detail whether it’s designing or project managing to ensure all productions run smoothly and are delivered on time and on budget. Ange has worked on a wide range of projects for clients such as: British Gas, British Telecom, B&Q, BBC, Channel 4, Channel 5, John Lewis, Astra Zeneca, European Respiratory Society, Tearfund, Alton Towers and The Co-operative Group. Will is both an experienced lighting cameraman and editor having fully embraced the highly flexible world of digital video production. Will’s skills run from ensuring the highest technical quality of all 4Motiv’s productions to making full use of available technology and software. 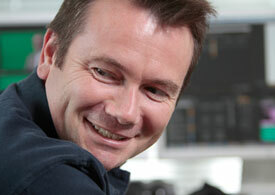 Will creates engaging and imaginative videos for use in any situation whether a wide screen event or the internet. Will has worked on a wide range of projects for clients such as: John Lewis, McDonald’s, Adidas, AkzoNobel, Open Mike Productions, BBC4, Channel 5, The Swansway Group, CIPD, Superdrug, GNDR, Homebase, Argos, Sainsbury’s, European Respiratory Society and Tearfund. We work regularly with specialist freelance creative and technical personnel depending on the type of work and location. Our extended team is built on long-term relationships with people who have been chosen for their specialist skills, reliability and their cultural fit with our team as well as our client base.